As we all start heading back inside classrooms and homework, let's make time to go outside and run around on September 8. You in? 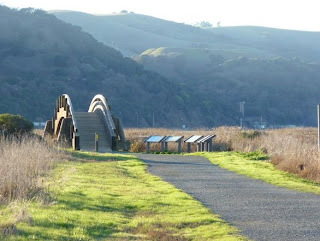 We'll go to the Martinez Regional Shoreline where there is a city park, but also paths out on the Delta that should be fun to explore. We tried this idea before but the frazzled-ness of the end of the school year ate up the idea and spit it out. Someone in our house loves trains and so we'll board a 11:09am Amtrak at the Berkeley station. That will put us in Martinez at 11:42am. Join us on board, or at the Martinez station. How Outside Kids works is over here. Hope to see you outside!